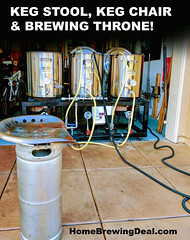 Coupon Description: During this holiday season you can save big on home beer brewing kits at WilliamsBrewing.com. You can get a beer brewing starter kit at an incredible value. MoreBeer.com Promo Code Details: Save 12% Site Wide at MoreBeer! MoreBeer.com Coupon Code Description: Save 12% Site Wide with this MoreBeer.com Coupon. This More Beer promo code is good for today only and some limitations apply. Click the link for all of the details. 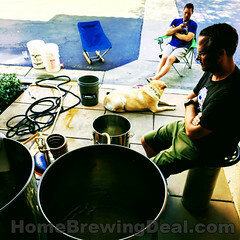 MoreBeer.com Coupon Code Description: Still looking for a great last minute gift for the home beer brewer in your life? MoreBeer.com has your back. 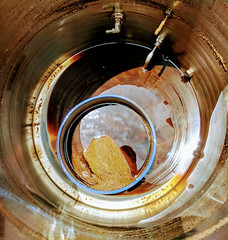 Act now and Save 50% On Brew Your Own Magazine for Home Beer Brewers! MoreBeer.com Coupon Code Description: Save 12% On FastFerment Gear With This MoreBeer.com Promo Code. This MoreBeer.com coupon is good for today only. Click the link for all of the details on this MoreBeer promo code. Coupon Description: This Williams Brewing promo code will save you and extra $10, $15 or $30 on your purchase. 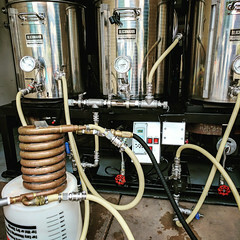 Click the WilliamsBrewing.com promo code for all of the details. This Williams Brewing coupon expires on Sunday so act fast! MoreBeer.com Coupon Code Description: The MoreBeer.com 12 days of Christmas sale has begun at More Beer. Use the MoreBeer promo code PEAR and save 20% on home beer brewing kits. There are several beer making kits to choose from. Click the link for all of the details on this MoreBeer.com coupon code.